There is a wealth of wine resources on the Internet. Some of the most useful ones are included below, covering topics such as wine news and reviews, education and where to buy wine. Find information on wine dinners, food pairing events and wine classes from connoisseur Jean-Baptiste Dhalluin. His educational wine events take place throughout Southern California. LearnAboutWine is Los Angeles' source for unique classes, events and tours that remain on the cutting edge of the industry. If you're a lover of wines from France's Rhône Valley, you're not alone. Rhone Rangers is an organization that provides education and promotes understanding of the Rhône varietal through newsletters and tastings. Based in Los Angeles, the Sake School of America provides a range of certification and advanced courses for sake, shochu and craft beer professionals and enthusiasts taught in English and Japanese. One of the fastest growing facets of the American wine market, saké is here to stay. This site, run by columnist John Gauntner, (a.k.a. The Saké Guy), touches on every aspect of the rice drink, from evaluating and making saké to finding the best restaurants for sipping saké in Tokyo. This site may take a while to load, but that's because it is loaded with scientific information on the art of making wine. Sponsored by the U.C. Davis Department of Viticulture and Enology, the site includes the most up-to-date research news as well as information on the department's academic programs and facilities and access to the University library. The Uncorked Cellar offers wine cellar inventory software with a wine guide providing winery details, wine ratings, value guide, winemaker notes, cellaring guide and more. It includes information on more than 30,000 wines. They also provide accessories to help people cellar and look after their wines. "Got a wine question?" This site, provided by the Wine Market Council, markets itself as the answer place for wine consumers. Visitors can either type in questions to be answered by industry experts or search the library of answers, which covers everything from serving and storage basics to buying strategies and pairing wine with food. The concept is straightforward and the site easy to navigate. Designed for novice and hobby winemakers, this amusing site offers easy-to-follow winemaking recipes, concise instructions and even a bookstore. The personal site of winemaker Jack B. Keller is a great starting point for anyone interested in making wine. The online information center for the revolutionary food and wine pairing program of Tim Hanni (who is on a crusade to abolish traditional notions of food and wine pairing  read our interview!) is the place to go for anyone interested in the future of wine's role in the dining room. Although the site offers little information beyond the winequest principles, it provides a great starting point for anyone interested in studying Hanni's system. Wine classes, degree programs, corporate events and more. This site contains news and information for wine industry professionals, and offers articles on grape-growing, winemaking, marketing techniques and winery administration. There is a job opening list and events calendar as well. The website of the Beverage Testing Institute in Chicago offers extensive tasting information from the Institute's highly regarded buying guides for beer, wine and spirits. In addition to notes on the top wines from around the world, you will find ratings of top wineries and wine shops. There is also an email newsletter for tasters interested in the latest in news and reviews. On the website for the Association of California Table Wine Producers, visitors will find valuable information on legislation, business news, wine-related events and important wine links. With notes on more than 80,000 wines, The Wine Lovers Page houses the largest consumer-written wine archives on the Web. Other features include articles, news, chat rooms and discussion groups. In fact, there is so much valuable information that it can be a bit daunting. Click on their "Getting Started" link to get acquainted! This frequently updated news source includes daily wine stock quotes and an extensive list of links to media, industry associations and job resources. None of the editorial content is original but it does represent links to the latest breaking news from the wine industry's finest editorial sources. The Wine Institute is dedicated to educating consumers and legislators on the place of wine in a healthy lifestyle. The Institute's website provides articles and links that include information on U.S. and world wine laws, and the latest research on wine and health. Probably the best-known wine journal in the world, the Wine Spectator online includes popular columns and reviews from the print magazine. The obvious focus is on cultivating new subscribers and in order to do so, it publishes a great deal of their most interesting content on the site. Wine X Magazine offers info on wine, food and "an intelligent slice of vice" for generation Xers. It is "specifically designed to create a comfortable forum in which young adults can learn more about the tasty juice without the usual intimidation." The Tippler Club is a monthly selection of wine delivered to your door. Choose between two, four or six bottles per month of hard-to-find, small production, natural wines. Each delivery is selected based on the season and they come with pairing possibilities, tasting notes and interesting stories. Feel like buying wine in your pajamas? 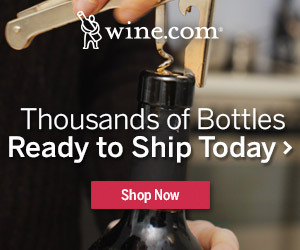 A leading Internet retailer, Wine.com offers an extensive stock list of wines available at competitive prices from current releases to a "private cellar" of rare finds. Search the site by price range, origin or style. A thorough and well-organized site, Wine.com includes the little extras that make a difference, from wine clubs, gift packages and custom labels to their ever-changing specials. Vintner's Collective is a multi-winery tasting room that is home to 10 of the most experienced and talented winemakers in Napa Valley. The man behind Vintner's Collective is Garret Murphy, who dreamed of creating a place where wine lovers could taste the wines of the best winemakers in Napa, and where smaller wineries without their own tasting room could showcase their wines and introduce them to consumers. This site links up collectors with top merchants of rare wines around the world. Think that 82 Medoc sells for less in France? The search mechanism allows for global price comparison and even notes shipping procedures. If you're a serious collector we suspect this site will soon be earmarked among your favorites.